Many couples wonder where to register for wedding gifts. 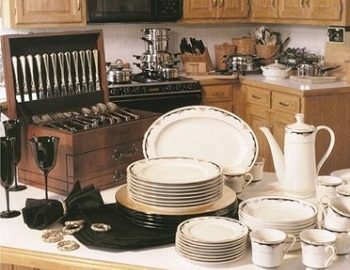 It is best to have at least two selections for those who choose to use a registry: a store with prices on the lower-end of the price range, and one on the medium-to-high end of the price range. You may also choose to include a more expensive site. Also consider where your guests live. The best place to register is somewhere that has stores in (nearly) every state. However, if you live in the same state as most of your guests, or if you know of specialty stores in their state (check online), then registering in those stores can also be an option. When opening a bridal registery, look at the store’s policies on tracking, exchanges, selection, etc. These “perks” are really important for you and your guests. For example, some registries don’t take an item off your registry list after it has been purchased – making it easy for you to get doubles. Exchange policies are very important to check – how long will you be able to return/exchange gifts? One month? One week? Registries are valuable tools for you and your guests. Enjoy!